On October 29, 2017, a community award ceremony was held at the American Jewish University under the auspices of the San Fernando Valley Council of NA’AMAT USA. Known as the “Distinguished Community Leader Awards” or DCLA, this annual luncheon honors and celebrates community leaders who have given distinguished service to NA’AMAT and to the community at large. Not only does this event serve as a natural opportunity for public outreach as NA’AMAT recognizes exemplary leaders, it is also one of San Fernando Valley Council’s most important fundraisers. 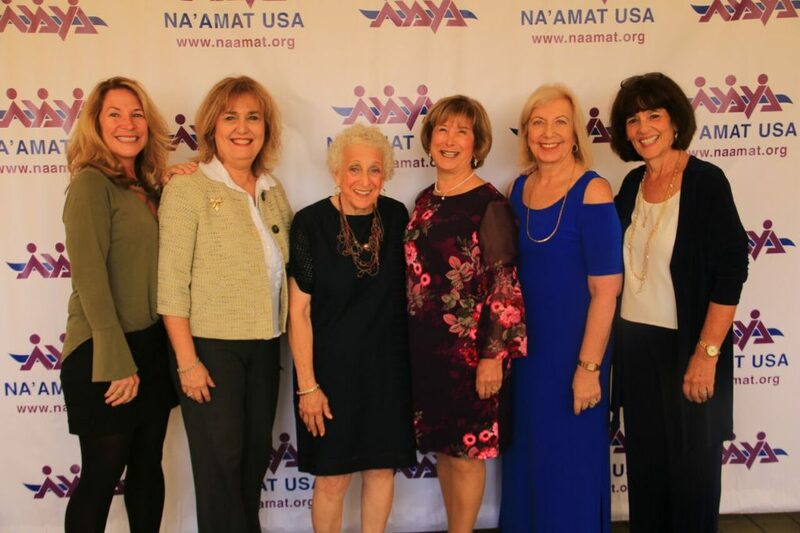 NA’AMAT USA is a nonprofit volunteer organization that partners with NA’AMAT Israel to provide vital educational and social services for women, children and families in need, in Israel. This year’s honorees included: Dr. Fran Kaufman, a leader in the treatment of pediatric diabetes; Barbara Yaroslavsky, a community activist and leader in the fight against poverty; and Gail and Myles Simpson, who together and separately are at the forefront of both NA’AMAT and Conservative Judaism. 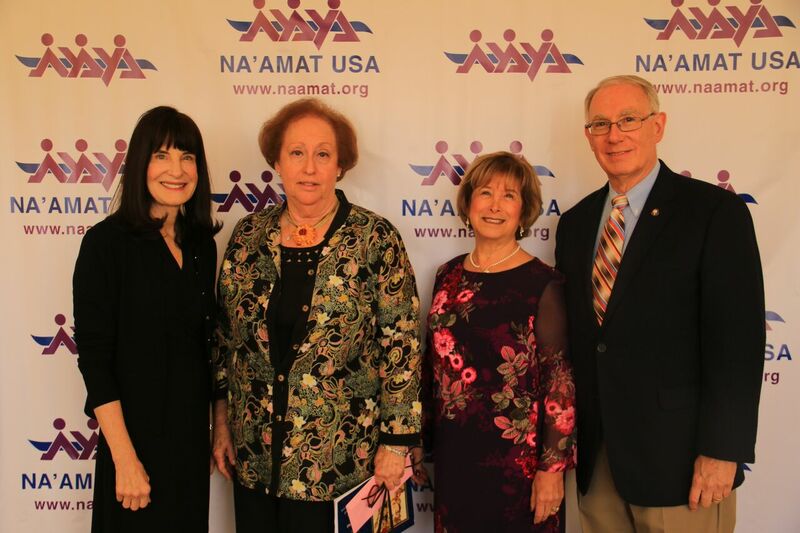 The common thread of NA’AMAT through the lives of all the honorees was on full display. In accepting her award on behalf of herself and her husband, Gail Simpson revealed to the enthusiastic audience, “Myles has been my support and motivation in all my NA’AMAT activities.” She concluded her remarks with her excitement that NA’AMAT has entered the age of social media with the recent rollout of “eNA’AMAT”, the new online membership option. Dr. Kaufman cited her lifelong dedication to the Jewish Community and noted how rewarding it was for her service to be recognized by an organization such as NA’AMAT. And Barbara Yaroslavsky pointed out that in addition to the myriad of boards and commissions she serves on, she is also a lifetime member of NA’AMAT USA. Another highlight of the day was a passionate pitch for NA’AMAT’s Technological High Schools for disadvantaged and at-risk teens, which was made by National VP of PR & Publicity Susan Isaacs. After screening a moving video about the schools, direct from Israel, Isaacs was able to encourage many in the audience to make further donations on the spot.